Since my kids are young and we all love fantasy and make-believe we decided to try it last year. We thought it might be fun for the kids. Turns out, it wasn’t just fun for the kids. We loved finding new fun and exciting ways to present and leave the elf each night. We even included a small written bible verse that had to do with the Christmas season. That way our kids were still learning about the reason for the season. Also, they got to participate in the part that is magical, and that allows for kids to just be kids. This year we are very excited to start again. We start on Thanksgiving night. 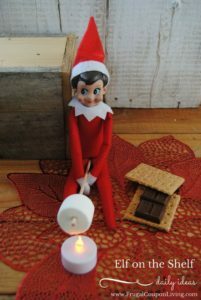 Once the kids are tucked in and sound asleep we find a new and adventurous activity for our little elf, named Jedi. This year we decided to start the visits off with a little fun. We started with a little banquet and had the elf bring the kids some Christmas pajamas and Christmas slippers. We want to extend an invite to all of you that participate in the Elf on the Shelf to share some of your ideas here. 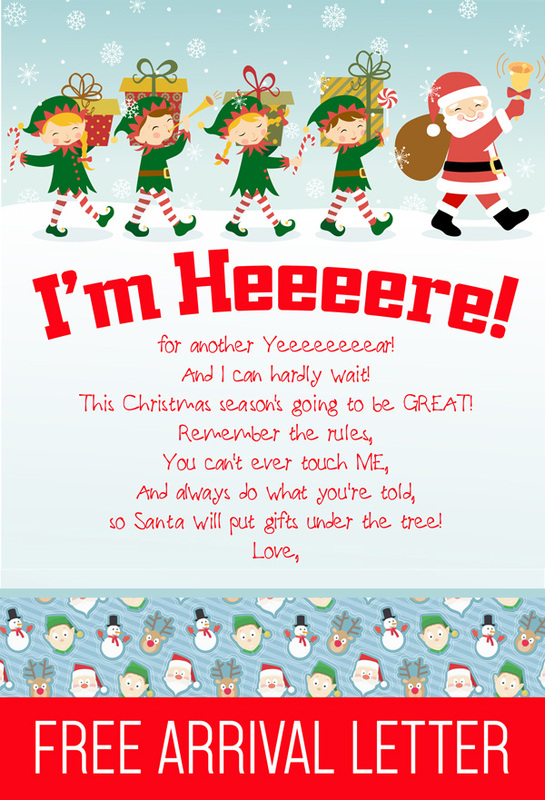 That way we can help each other out with ways to impress and awe our kiddos with the magic of Christmas all season long. Please feel free to upload photos in the comments! 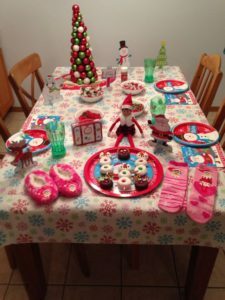 This entry was posted in Activities and tagged Christmas, elf, elf breakfast, elf ideas, elf is back, elf on the shelf, the boys store on November 25, 2017 by Lacy.